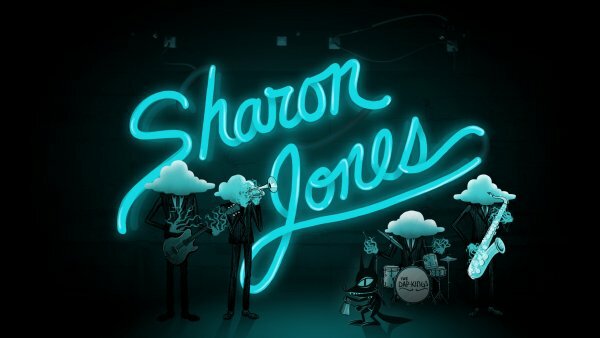 In her first animated music video, Sharon Jones and the Dap-Kings take on a pack of rampaging, cat-calling wolves in a psychedelic battle of dance. Hell hath no fury like a woman scorned! Lizzi Akana is an award-winning director, animator, and designer. After enjoying success in the festival circuit with her student film, "Marvelous, Keen Loony Bin," she has gone on to animate professionally for some of the most prestigious studios in New York. Within the animation industry, Lizzi's career spans a diverse range of experience in broadcast television, advertising, music video, and feature film production. As a director, she has had the privilege of working with Sharon Jones and the Dap-Kings, Ke$ha, 50 Cent, and Adult Swim. Lizzi currently lives and works in Brooklyn, New York. This is a very special project to me for many reasons. I’ve been a Sharon Jones fan for years, so when Daptone approached me to produce a video for her I leapt at the opportunity. Thematically, the song retreat is a powerful anthem for Sharon as an artist and performer, especially in the wake of her cancer diagnosis. Knowing that Sharon was experiencing adversity in her personal life, it was extremely important for me to portray her in the video as an indomitable force of nature. The tone of the song naturally yields itself to the theme of an epic showdown, so the trick became how to show our hero overcoming insurmountable odds in a way that would be visually exciting and still have a Sharon Jones flavor to it. That challenge became the backbone behind every decision that was made on this video.